Davidson is a suburban town in Mecklenburg County located along Lake Norman with a population of 12,684 and 5.75 square miles according to the 2017 census. Charlotte Douglas Airport is about 25 minutes southwest of the town. Davidson is a small college town and is home to Davidson College, with a town center full of quaint shops and eateries. It is great for the pedestrians, bike-riders and offers walking trails and miles of greenways. 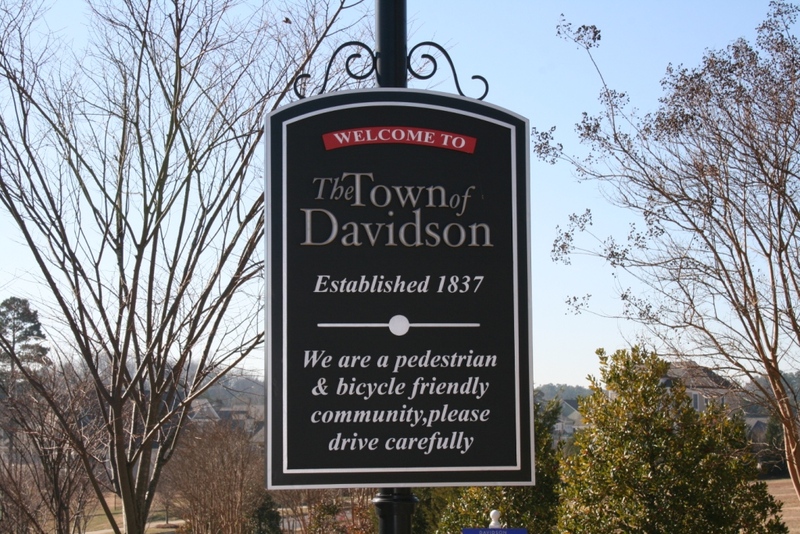 The town of Davidson has a great page filled with information you will find helpful in learning more about the city and all it has to offer! Davidson offers unique shops, restaurants and a public library. The town hosts Christmas in Davidson the first 3 days in December offering trolley rides, Santa’s village, shopping, music and even story time with Mrs. Claus! The month of April is for celebrating the arts. The at festival features artist’s exhibits, music and food. Visit Lake Norman, the largest man-made lake in the Carolinas! Lake Norman offers upscale shopping, golfing, Nascar, fishing and other water activities. Davidson offers a variety of great restaurants from the big chains to local restaurants & breweries. Whatever you are craving, you will find it here! Below are just a few you can try! The Town of Davidson offers several parks, fields and greenways for sports, play, walking, biking and picnics. The largest employers in Davidson are Davidson College and Ingersoll-Rand. The Town of Davidson’s Students attend the Charlotte-Mecklenburg school system. Children residing in Davidson attend Davidson Elementary, J.V. Washam Elementary, Bailey Middle School and Hough High School. There are options for charter and private schools as well. There are hospitals located in nearby Mooresville and Huntersville. The Town of Davidson’s tax rate is .35 cents per $100 of assessed valuation in addition to Mecklenburg County’s tax rate of .8232 cents per $100 of assessed property value.